Thank you internet, thank you (and yes, those are wine). But if you’re not into drive-by Eucharists via ice cream trucks, how about chilling with something traditional yet all too forgotten: fortified wine. America’s founders lived on fortified wines like Port, Sherry, and especially Madeira (the bar tab leading up to signing the Constitution saw 54 bottles of the latter). Why? Boats lacked air conditioning. The heat ruined most wines that lacked high alcoholic protection. But fortified wines survived the trip. Now most Ports are drunk cool, Sherries can range cooler, but Madeira should be chilled into the 40s. So break out the surf board, sun tan lotion, and get that brazilian…it’s summer! This Thirsty Thursday we splurge on a wine from 1998, from a grape called Verdelho, from a Portuguese island called Madeira, from a seven generation producer known as Blandy’s. Appearance: Clear, bright golden amber with guase-like legs. Aromas: A monumental punch of hard cider, orange liquor, green fig, fresh grass, honey, and salt simply own my nose. 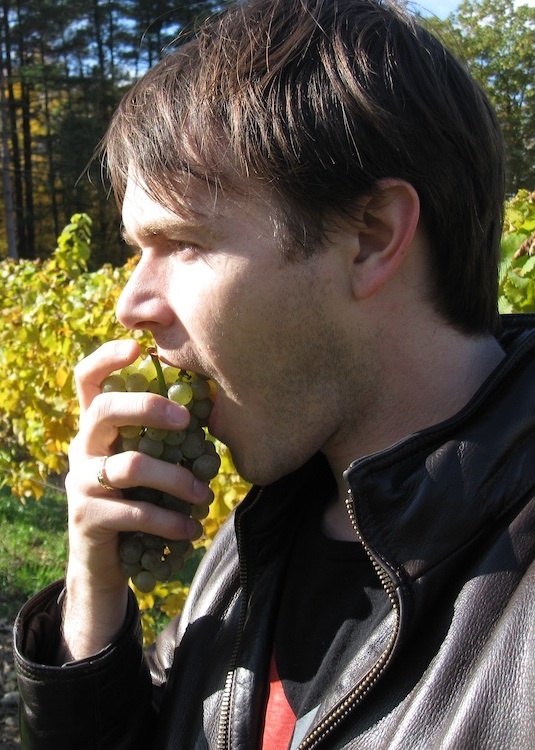 Palate: It is medium sweet but bright acids, vegetal pine tannins, and oodles of alcohol wash away any thoughts that this is dessert wine. The body is full up front then leaned out, taught and serious by all its structures. A fine line of viscous texture keep this from becoming too serious, too austere. Flavors: A complex, intense array of flavors vie for attention: dried orange peel and orange liquor, lime, green fig, honey, creme brulee, vanilla syrup, salt, white pepper, white smoke… One could go on for months, this 1998 is endless. 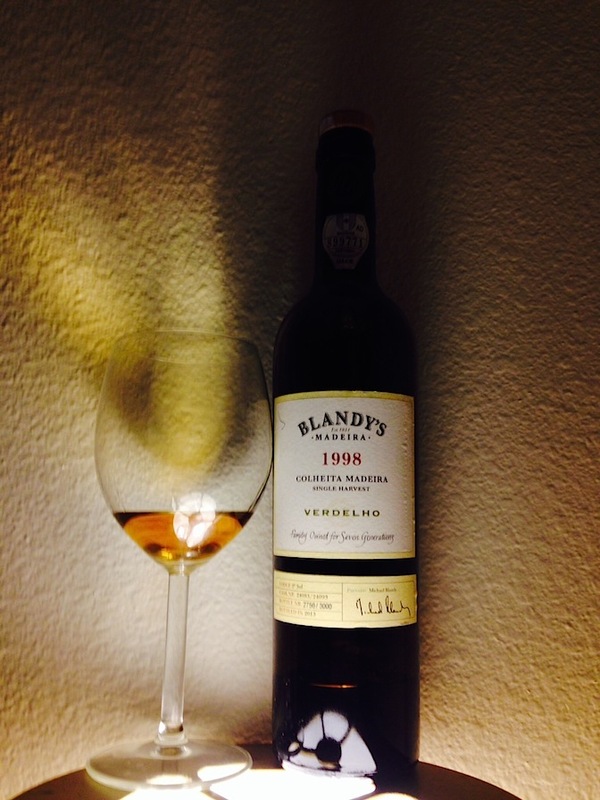 Conclusion: Bandly’s 1998 Colheita Madeira Verdelho is outstanding stuff (5 of 5). Chilled: it is mouthwatering, bright, complex, and honestly still in its youth. It reminds me of Islay single malt scotch: serious, challenging, yet so rewarding. Whereas most wineries age their wine for a year or two, this sees fourteen. Fourteen. Imagine, making something and then sitting on it, making no money, then when that newborn is ready for high school, bottle it and pray it sells. Now all that time in barrel, baking in hot rooms (the estufagem process), makes the wine immortal. You can age it for decades. It will taste the same open for over six months. For around $60 a 500ml, that’s an investment. This entry was posted in Uncategorized and tagged Blandy's, colheita, estufagem, fortified wine, Madeira, Port, Portugal, Sherry, Verdelho, wine, wine popsicle. Bookmark the permalink. Fascinating review. Only you could ever get me to consider doing anything with a Madeira other than cooking with it. Giving 14 years of care (why 14, how can they tell 13 from 14?) to anything is impressive. 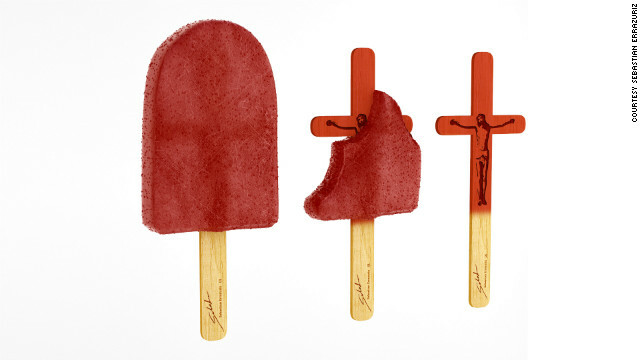 Ice cream truck wine popsicles in countries with varying drinking ages?